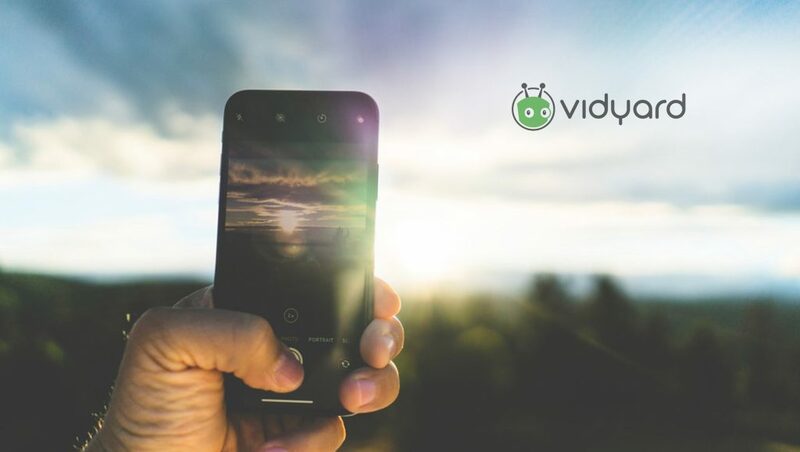 Vidyard, the leading video platform for business, unveiled new enhancements to its flagship video messaging app, Vidyard GoVideo, to enable Sales and Customer Service reps to easily create and share highly-personalized video messages at scale from within a wide range of business applications. The new capabilities are helping customer-facing teams boost audience engagement, increase response rates and improve customer satisfaction through the power of personalized one-to-one video experiences. Dynamic Video Personalization for Sales: Vidyard GoVideo users already know that adding video “selfies” to their outbound emails help them stand out and build stronger relationships from the start. The new Vidyard Autumn 2018 update takes “personal” to the next level. Now, Vidyard GoVideo users can send pre-recorded personalized and branded videos that have been individually tailored to each contact with the push of a button. Share personalized versions of your product demo or customer case studies to deepen engagement late in the sales cycle. Expansion of the Vidyard Partner Ecosystem: Vidyard has expanded its partner App Directory to more than 30 business application partners who now offer native access to Vidyard GoVideo from within their apps, integrated video hosting and management powered by Vidyard, and/or audience engagement insights powered by Vidyard’s video analytics. These solutions are now enabling Sales and Customer Service reps to access Vidyard GoVideo directly from their primary applications and workflows, while marketing and sales teams are able to leverage video analytics to better understand their buyers and trigger automated workflows based on video engagement activities. A sales reps’ prospecting emails now compete with more than 2,900 others daily, and inboxes are becoming more cluttered with the average person interacting with 121 emails each day. With today’s announcement of the ability to immediately personalize pre-recorded videos from within the Vidyard GoVideo app, sales reps can now quickly generate personalized, one-to-one videos on-demand in a matter of moments enabling highly personalized sales prospecting and customer engagement at scale. Personalized videos take recipient engagement to the next level by adding items like a viewer’s name, company or title – or even a custom message written by the sales rep – and creates a truly unique moment that literally brings the viewer into the story. They’ve been proven to make a big impact on engagement and increase email conversion by 500% or more. When putting a customer’s name into a video, it’s not uncommon to see 3x the number of video views as compared to non-personalized messages. Today, Vidyard introduced a new cohort of App Directory application and integration partners, including Groove.co, ThetaLake, AutoKlose, and Cognism. Each app will bring the power of video into the applications that users are already familiar with and working within. For busy sales reps, marketers or customer service professionals, having the ability to quickly create, share and track video messages without having to leave an existing workflow is key. Vidyard’s growing App Directory now has more than 30 apps and integrations, including Drift, SalesLoft, and others that enable users to easily record, share and track video from within their business applications of choice. Last month, Vidyard and HubSpot also announced HubSpot Video, the one-to-one video message solution powered by Vidyard that enables marketing, sales and service teams to easily create, share and track personalized and interactive videos directly within the HubSpot growth platform. HubSpot Video is a new series of video features woven throughout HubSpot’s powerful platform. In other words, HubSpot Video is the video-ification of HubSpot: the ability to create, host, manage, customize, and measure video inside of HubSpot, in ways that haven’t been possible before today. These new features are available free for all pro and enterprise customers and require very little set-up.